Options are a good thing – especially when it comes to planning your financial future. Join us for SBW Wealth Management’s next Fiscally Fit seminar on Wednesday, February 13, 2019 at 5:30 pm when Kevin Beauregard, VP, SBW Wealth Management and Investment Executive, Infinex, will present Introduction to Annuities. Topics will include information on how an annuity can provide supplemental retirement income, ways to utilize an annuity to complement traditional retirement sources such as an IRA or 401(k) and much more. This seminar will be held at 84 Marlboro Street in Keene. To register, fill out the form on this page or call Samantha Corliss (603) 355-1674. Wednesday, March 13 — Retiring with Purpose featuring guest speaker Mark Daly. 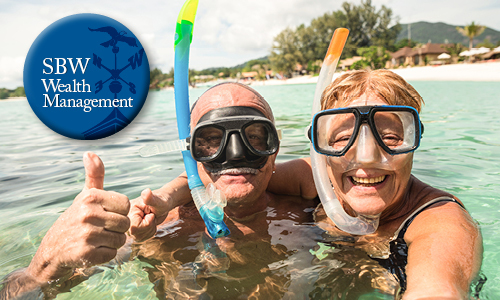 What will you do when you retire? Tips and strategies for ongoing personal prosperity. Wednesday, April 10 — Science of Investing with guest speaker Gabe Hathorn, CIMA Symmetry Partners LLC.